Tonight was a different tale. Tonight painted a much more nuanced story, across a much wider palette of emotions. I think tonight I saw a side of them that I'd been ignoring, and better understand what 3.0 excels at. All of it centered in the NMINML. It is very, very rare for me to cry at a Phish show – the last being Wingsuit of the Baker's Dozen, when my mother was in the hospital. This part of NMINML had me bawling. As did Joy, when they reprised the same story, the same emotions, but wrapped words around it. I felt it narrating my life. I never, in a million years, would have thought Joy would be a show-highlight for me. But here we are. This was a beautiful show. I don't know it will hold up on tape. I don't know if anyone will be moved by it in the same ways I was. But f*ck if that wasn't encompassingly beautiful to me. Great song selection on this Saturday night in Chicago amplified by two excellent jams (Blaze On and No Man's) that I will be revisiting for years to come, and a Bowie that wasn't too shabby either. This band keeps showing up, and keeps playing their hearts out for us. Big fan of this show and this tour and I can't wait for more! I start this review by contrasting this show to the night before. Night one at Allstate brought the special playful and hard-hitting theme that was well displayed throughout the show. Night two, however brought the jams. And I mean the jams were delivered! And as I prefaced in my night one review, my expectations were shattered during this Allstate run and the jamming of this night was a complete but blessed surprise. 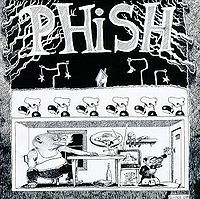 I have noticed to some degree with Phish shows that on average the first night of a run usually holds a better thematic feel and energy with a well-constructed setlist but lacks the monster jams that would occur in the second or third show of a run. But I cannot stress again, Allstate was treated to a special jam this night. The first set had a similar feel to the first set of the night before, starting with two hard hitting songs. Stash led off the show and when it was followed by The Dogs. I was struck by the fierceness that the boys started this show with sounds of funky grooves yet dark energy. The Dogs segued into Blaze On which lighten the mood somewhat but kept the energy strong. Then there was rest with Water in The Sky. 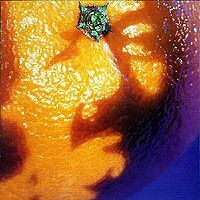 In full disclosure, I am particular found of soft and chill Phish songs, so I personally enjoyed the soothing sounds of WITS. Ya Mar followed next which rose the energy but kept it light. When Vultures was played next the sound and feel of the night definitely took a rougher tone. In Vultures, a strong bound was highly apparent between the audience and Phish and it felt like crowd was in sync with the band. This connection was amplified when Vultures segue into Roses Are Free. I was particularly grateful to hear this song, because this was on the top of my list of cover songs I had not yet heard live. It also appeared that the audience was also particularly happy to hear this cover. I was seated actually behind the stage so I had good vantage point to all the phans facing the stage. The jubilation the audience had for this song was obvious and it was a reminder that this Ween cover holds a special place in the hearts of phans and the band. However, the energy kept rising exponentially. 46 Days took the next slot but when it segued into David Bowie, there was some significant brilliance being shown from the band. The combination of those two songs was a monstrous display of hard jamming from the boys and an explosive ending to the set. Although of the first set was but mere appetizers to the jam giant that would appear in the second. One thing that amazes me about Phish is seeing the band decided when to extended or shorten jams during the show. 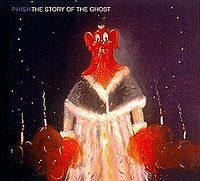 I am never certain when Phish will take a song and use it as the main jamming vehicle of the set. Watching Phish create their signature jams is a gift and I was particularly lucky to watch this musical skill at work in the second set. The set started with Moma Dance, which one would think would be a good song the carry the heavy jams for the night. Moma has been known transform into a huge jamming extravaganza especially if it’s played in the second set. But the Moma that was played was standard. Clocking in at about eight minutes, there was nothing over the top with the song. It almost felt like the song was ended abruptly. And as I was observed the band, it seemed that Trey made Moma end early. I could see him instructing, Page, Jon and Mike to go to the next song No Men in No Man’s Land. No Men in No Man’s Land. This song. This song became the ark to which hallowed jams would be created. I have a weird history of with NMINML. In another full disclosure, I have never really liked this song. At times, it can be mundane. 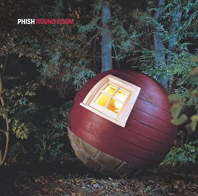 Happy and upbeat but nothing over the top terms of Phish’s eccentric songs. In the subsequent shows when I heard the song played, I was never overly impressed by it. But the NMINML that was played that night was the king of NMINMLs, at least in terms of time. Clocking in at 25.22 minutes, this was the longest NMINML ever played. 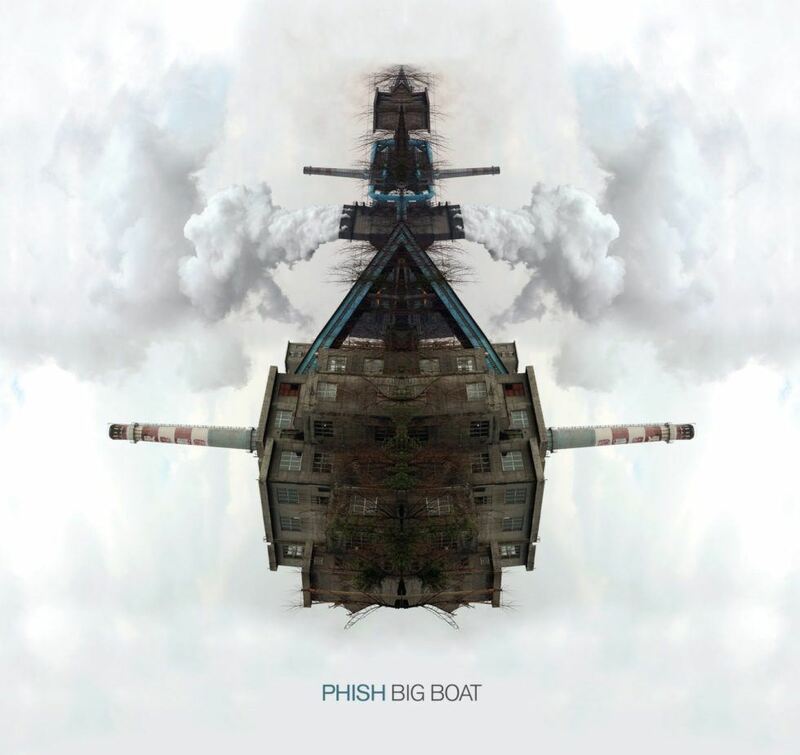 And while I am not sure it would go down in Phishtory as the best NMINML ever, it was definitely an exceptional song in the context of the Allstate run and the 2018 Fall Tour. It could even be one of the best jams of the 2018 fall tour? Regardless, NMINML was special and the boys took us for a ride. The song started out standard with no expectations of anything crazy. But by 10 minutes things got weird. It was particularly remarkable how the boys could transform a song as upbeat as NMINML into a spacy and heavy jam creation. Equisetic use of synth in the jam created a wave like build up throughout the song and It formed layer within the jam. The song Steam was also seamlessly melded into this colossal NMINML. By the time Steam was being played, the energy of the night was enormously heady and grooving. The boys then segued Steam into Chalk Dust. The sound definitely sped up but heaviness of jamming continued. There was brief paused after Chalk Dust and the boys could have slowed down the pace of the set but they didn’t. 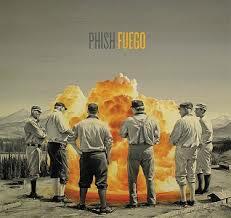 Fuego came up next which only elevated the intensity. At this point, I felt like I was small boat being thrown to and fro on the waves of jams. But then a jam clouds parted and sun shined forth with Joy, pun intended. Fuego segued into Joy and it was probably the best rendition of this song I have ever heard live. 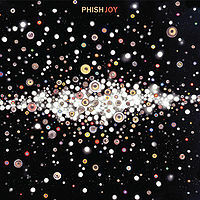 Another amazing musical gift that one gets to experience when seeing Phish is the act of watching a heavy jam transfer to a light song. The musical pause was exactly what the set needed and it brought the entire audience into ballad of communal love. As true to the night before, Trey’s voice was particularly on point. The second set capped off with stunning Suzy Greenberg. As for the encore, the boys played Rock and Roll, an awesome cover to end the night. To shortly summarize night two at Allstate, it was all about the longest NMINML to date and the musical genius of Phish.